I first met Rose when she was a student in a graduate level children’s literature class I was teaching for Northern Arizona University on the Navajo Nation. I wondered why Rose was seeking special certification in reading when she already had her master’s degree and probably was near retirement age. 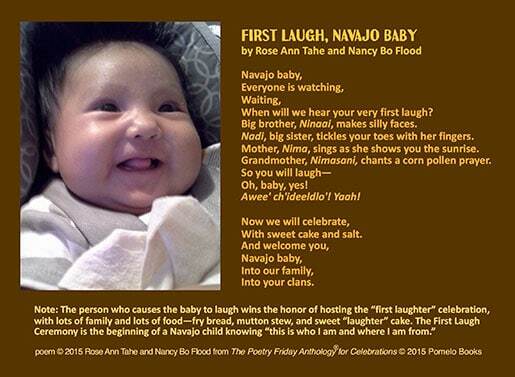 Rose was a tiny woman, unusual for Navajo, and she was brilliant. She was working as a substitute teacher at Many Farms and Chinle schools but striving to learn all she could to help reluctant readers. 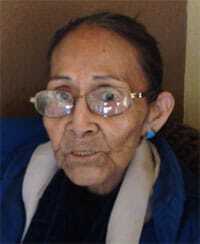 She was fluent in both Navajo and English, written and spoken, which was unusual for someone her age. Rose’s hands were arthritic, but her mind was young, curious, eager to learn, and always ready to explore new territories. Rose had stories to tell. She was willing to commit to the work of writing and revising. At the last class meeting of children’s literature I suggested that any students interested in continuing work on their written stories for children form an informal writing group. We would meet monthly at a local restaurant to read each other’s manuscripts and offer critiques and suggestions. Rose attended regularly. I learned that Rose had recently received her Ph.D. in educational leadership from Northern Arizona University. After graduation, Rose chose to not leave the Navajo Nation Reservation but rather to teach at local schools, Many Farms and Chinle. 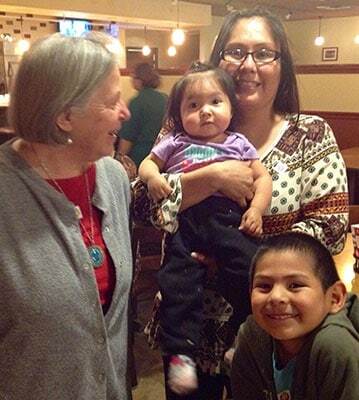 Rose and I worked together on a story about the Navajo’s First Laugh Ceremony. This manuscript recently was acquired by Charlesbridge Publishers just before Rose’s sudden and untimely passing. With the agreement of Rose’s family, First Laugh will become a “real book,” one of Rose’s goals. We were very fortunate that Rose recited our poem out loud on camera, a bittersweet memory for everyone who loved this delightful woman. Rose’s daughter, Tatum Belle, is the mother of the First Laugh baby in our poem. Here she is with her son and that baby. 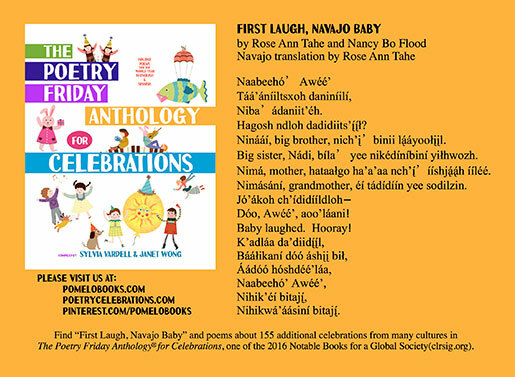 Here’s the beautiful postcard of the poem in Navajo that Sylvia Vardell and Janet Wong included in their book, The Poetry Friday Anthology of Celebrations. You can find that book here. And here is that same poem (on the reverse side of the postcard) in English. That’s Rose’s granddaughter in the photo. When you come see me at a book festival or children’s book conference, please ask for one of these postcards. It’s a treasure!